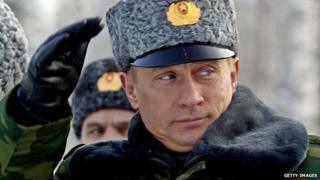 What impact will the MH17 disaster have on Russia? Russia's economy is struggling. It grew just 1.3% last year, shrank 0.5% between January and March, and didn't grow at all between April and June. And that was before the threat of deeper sanctions following the loss of a Malaysia Airlines passenger jet, said to have been shot down by pro-Russian separatists. What impact could further sanctions have on Russia's already fragile economy? The "fear factor" is the main threat, according to analysts. "The sanctions so far are fairly modest," Alex Nice, an analyst at the Economist Intelligence Unit told the BBC. "They don't prevent the day-to-day operations of Russian companies, which for example, are still able to access US dollar clearing, but the longer term damage is the perception of risk. "This will reinforce a more sceptical approach to investment. It's likely to be depressed compared to what it could be," Mr Nice said. There is clear evidence that investors are pulling money out of Russia. In the first six months of this year, a staggering $75bn (£44bn) left the country, according to Russia's central bank. This is already more than the $63bn of capital pulled out during the whole of last year. Both the World Bank and the International Monetary Fund (IMF) estimate capital flight may exceed $100bn by the end of the year if the Ukraine crisis continues. For Russia this is a big problem as it needs foreign money. The long economic boom, which justified its designation as the "R" in the fast-growing emerging Bric economies alongside Brazil, India and China, is now dwindling. The Organisation for Economic Co-operation and Development (OECD) and the Economist Intelligence Unit both predict Russia's economy will grow just 0.5% for this year, while the IMF expects just 0.2% expansion. It is a far cry from the 8.5% growth Russia saw in 2007, when strong energy exports helped to fuel domestic consumption. "The previous drivers of the Russian economy - consumer spending and oil exports - are both exhausted and it needs a new driver based on a higher level of investment spending," says Chris Weafer, senior partner at economic consultancy firm Macro Advisory. "Russia cannot afford to remain in isolation for too long," he said. "The big problem is not the effect of the official sanctions. It is the fact that they have generated a great deal of risk aversion which has slowed down investment into the country and made it more expensive for Russian firms to do deals." However, many analysts remain confident that, over the long term, the Russian economy will bounce back. "This is a country with 144 million people. It is already the world's fifth biggest consumer and the middle class is growing. Nothing can happen which is serious enough to dislodge firms making money there in the long term," says Mr Weafer. There are already signs that he may be right. The rouble, which fell 9% in the first two months of the year, has recovered slightly to trade 6% lower for the year to date. Russian stock markets are also down, losing 12% so far this year compared to the 6% gain on the benchmark MSCI emerging markets index as a whole. But the recent decline has not been as dramatic as the falls that followed the start of the crisis in Ukraine, when Moscow annexed Crimea in March. "If you want to participate in this market you have to be a risk taker. There is a bit of stability after significant selling pressure last week," says Sebastien Barbe, head of emerging market foreign exchange strategy at Credit Agricole. In the short term, however, the Russian economy is expected to continue to stagnate. "Investors will remain very nervous of Russia risk until there is some clarity. The major risk is the continuing self sanctions by foreign investors, businesses and banks," says Mr Weafer. "To a limited extent, the state can substitute for foreign lenders in strategic sectors. However, without a big pick-up in inward investment the economy will not be able to move to the sustained 3% to 4% annualised growth it needs," he said.